While diesel-powered cars remain rather slow-selling in the U.S., they are in huge supply in Europe and sell well. Many Americans still view diesel cars as miniature school busses that rap-tap down the road at a lumbering pace. Thanks to recent advancements in sound insulation and exhaust tuning, the sound of a diesel engine is now nothing like it was years ago. 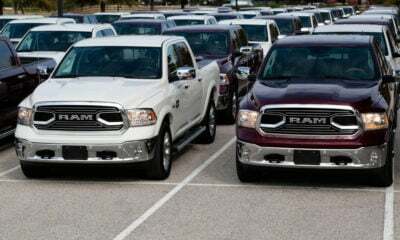 Additionally, recent turbocharging technology and other performance-enhancing upgrades have led to some impressively powerful and responsive diesel engines. On top of their increased performance capabilities and reduced noise, modern clean-diesel engines are also easier on the environment and get hybrid-like fuel-economy numbers. 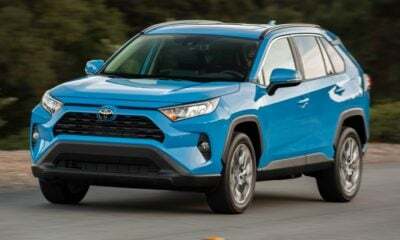 To help you better realize just what diesel power has to offer, we have compiled a list of the 10 most fuel-efficient diesel cars on the market today. Starting out our list of the top-10 most fuel efficient cars is a large luxury rig from Audi. The 2015 A6 3.0 TDI quattro checks in with EPA-estimated ratings of 24 mpg city, 38 mpg highway and 29 mpg city. In the world of super-efficient hybrids, these numbers may seem sub-par, but in a midsize luxury car, these ratings are rather impressive. The 3.0-liter TDI engine powering this luxo-rig is far from a rap-tapping school bus engine too, as it produces 240 horsepower between 3,500 and 3,750 rpm, and 428 pound-feet of torque between 1,750 and 2,250 rpm. This power travels through an eight-sped Tiptronic transmission on its way to all four wheels, via Audi’s quattro AWD system. This drivetrain affords this fuel-efficient luxury sedan a 0-to-60-mph sprint of just 5.5 seconds and a top speed of 130 mph. 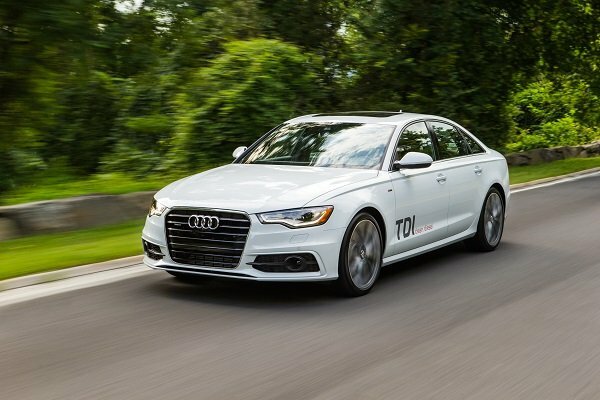 As one can expect, the 2015 Audi A6 3.0 TDI quattro is not a cheap car, as it bases at $58,700 for the Premium Plus trim, while the Prestige trim bases at $62,500. Midsize sedans are typically not touted for fuel economy, especially luxury models, but toss in a diesel engine and even the BMW 5 Series becomes a fuel-efficient machine. 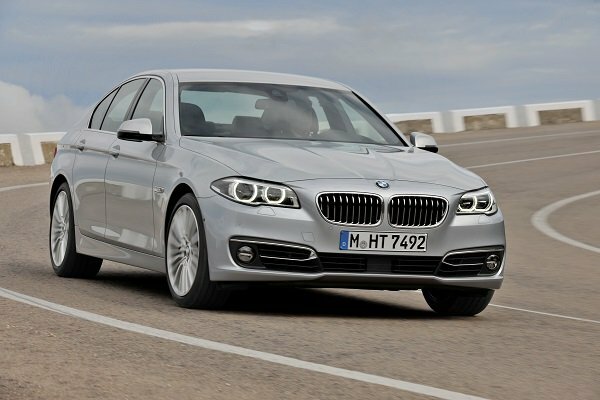 The 2015 BMW 535d checks in with fuel economy ratings of 26 mpg city, 38 mpg highway and 30 mpg combined in its base format, while xDrive AWD drops the highway rating to 37 mpg. This relatively awesome fuel economy is thanks to a 3.0-liter Twin Power Turbo Diesel engine. 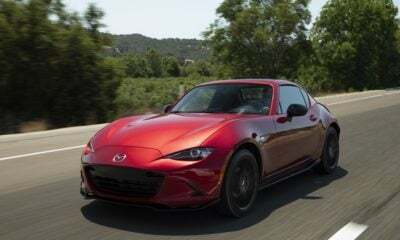 Fuel efficiency isn’t the engine’s only strong suit either, as it is also fairly powerful with an output of 255 horsepower at 4,000 rpm and 413 pound-feet of torque between 1,500 and 3,000 rpm. The engine mates to an eight-speed STEPTRONIC transmission. In its base setup, the powertrain combination allows the 535d to hit 60 mph in just 5.8 seconds, while the 535d xDrive does the same 60-mph sprint in just 5.7 seconds. The 535d may be easy on fuel, but it is far from easy on your wallet, as it bases at $56,850 and the xDrive model raises the base price to $59,150. Yes, there actually is an SUV in the top-10 list of most fuel-efficient diesel cars, and it hails from Germany, of course. This is the 2015 BMW X3 xDrive28d, and it gets a rather impressive 27 mpg city, 34 mpg highway and 30 mpg combined from its 2.0-liter Twin Power Turbo Diesel engine. The 2.0-liter diesel engine isn’t immensely powerful, as it only produces 180 horsepower and 280 pound-feet of torque, but it is enough to get the X3 to 60 mph in just 7.8 seconds and up to 127 mph. This diesel four-pot mates to an eight-speed STEPTRONIC transmission. 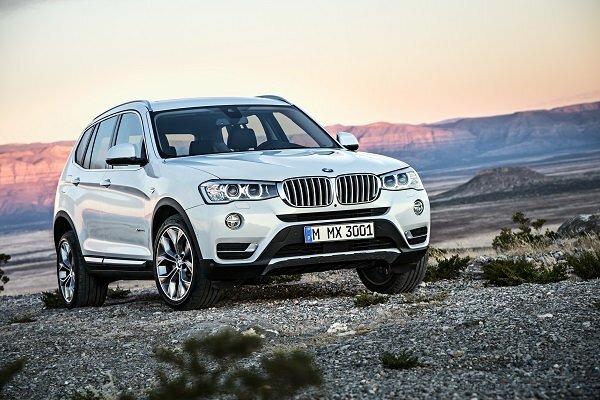 As with all BMWs, the X3 xDrive28d is fully loaded from its base model all the way to the top. 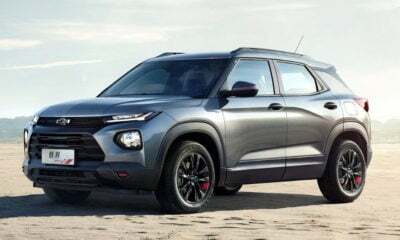 Along with all that equipment comes a hefty price tag that starts from $41,900 and swells to beyond $55,000 with added options and packages. Crammed between all of these German models is a single American car, the Chevy Cruze. For 2014, Chevy decided to enter the diesel market with its compact sedan, in an attempt to get a head start on the competition. 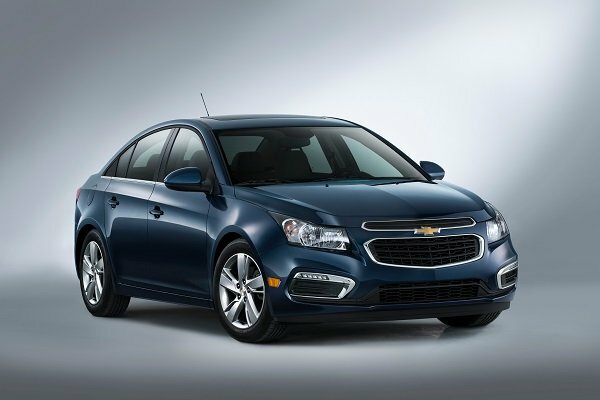 For the 2015 model year, the Cruze diesel delivers decent fuel economy at 27 mpg city, 46 mpg highway and 33 mpg combined. In terms of output, the Cruze Diesel is decent, as its 2.0-liter turbo-diesel engine produces 151 horsepower and 264 pound-feet of torque. This powerplant mates to a six-speed auto transmission, and though it has yet to be officially tested, the Cruze should hit 60 mph in around eight seconds. Pricing for the 2015 Cruze Diesel is not yet available, but it shouldn’t stray too far from the 2014 model’s $25,810 base price. Look for the 2015 Cruze Diesel to hit dealers in late 2014. Mercedes-Benz chimes in on our list of most fuel-efficient diesel cars with its 2014 E250 BlueTEC. 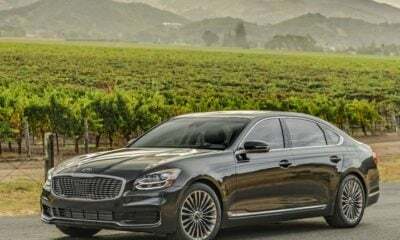 Not only is it supremely luxurious, but the 2.1-liter, twin-turbo diesel engine under its hood is delivers 28 mpg city, 42 mpg highway and 33 mpg combined ratings. These ratings fall to 27 mpg city, 38 mpg highway and 31 mpg combined when the engine mates to the optional 4MATIC AWD system. Unfortunately, Mercedes has yet to grace America with an E250 BlueTEC Coupe or Wagon, so buyers can only get this thrifty diesel in the sedan model. For a Mercedes, the 2.1-liter engine is slightly underpowered, as it only produces 195 horsepower at 3,800 rpm, but its 369 pound-feet of torque is plenty to get the sedan to 60 mph in 7.9 seconds in its base setup — 8.2 seconds with 4MATIC. 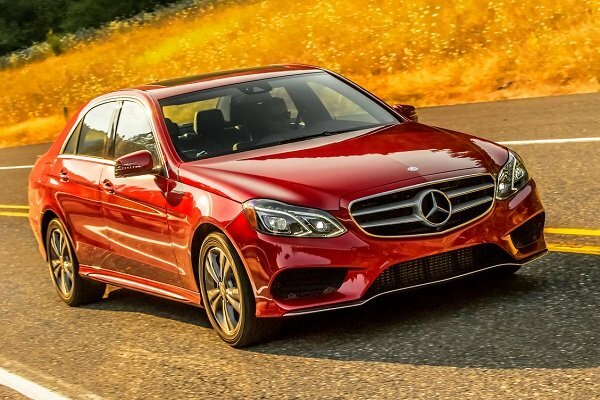 Being a Mercedes E-Class means a monstrous MSRP, as the E250 BlueTEC bases from $51,400. As if the Beetle wasn’t already an icon in the industry, VW went and upped the ante by installing its 2.0-liter, turbo-diesel engine under its hood. This engine delivers great mpg performance of 31 mpg city, 41 mpg highway and 34 mpg combined, regardless of the transmission. Buyers can also opt for a convertible model that delivers 30 mpg city, 40 mpg highway and 34 mpg combined. In the new Beetle, this 2.0 TDI engine produces 150 horsepower and 236 pound-feet of torque. The clean diesel mates to either a six-speed manual of a six-speed, dual clutch transmission and delivers power to the front wheels. The 2015 Beetle has yet to undergo a full battery of testing, but its 0-to-60-mph time should be in the eight-second range. 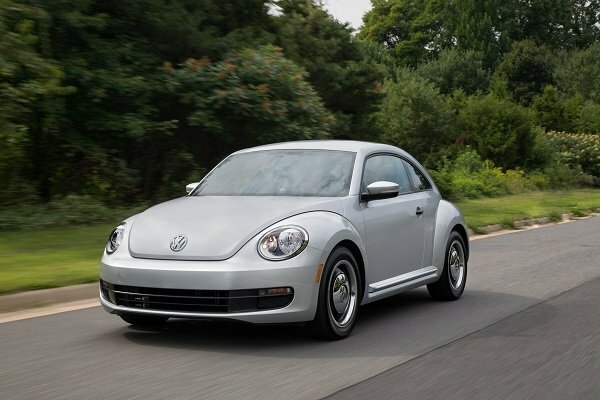 The Beetle TDI starts from $24,795 and rises to $27,710 in its top trim level. The Golf 2.0 TDI is a cult icon among VW lovers, thanks to its useful hatchback design, compact footprint and lively handling. What’s more, it gains a completely new design for the 2015 model year. Being a part of the VW group, it uses the same 2.0-liter, turbo-diesel engine as other VW products. In Golf, this engine delivers 30 mpg city, 45 mpg highway and 36 mpg combined with the six-cog manual, while the six-speed DSG transmission drops the highway rating to 43 mpg, but bumps the city rating to 31 mpg. The 2.0-liter, diesel engine develops a tidy 150 horsepower at 3,500 rpm and 236 pound-feet of torque at 1,750 rpm. The Golf TDI isn’t a car that anyone would call “fast,” but it acceptable at 8.6 seconds to 60 mph. Unfortunately, the Golf TDI is only available in the four-door hatchback body style, while other members of the Golf lineup also have two-door variants. 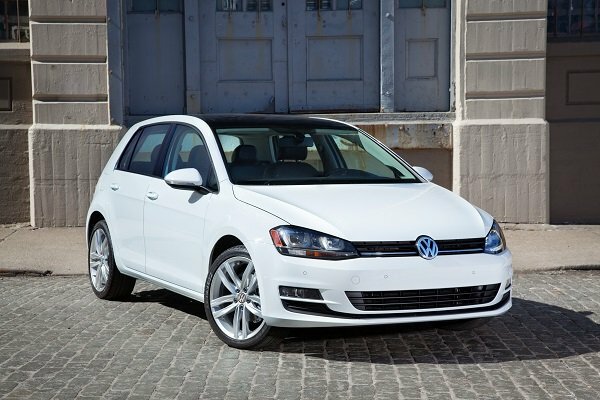 The Golf TDI starts at $21,995 for the S trim level and peaks at $27,995 for the SEL trim. Another model from the Volkswagen Auto Group shows up here in the form of the Audi A3, and it bears the same 2.0-liter, turbo-diesel engine as some of the others. 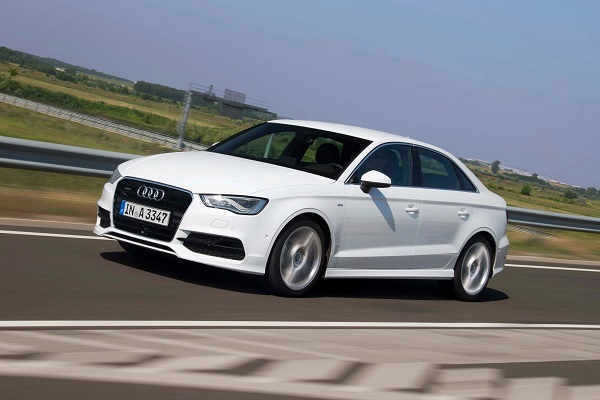 The Audi A3 2.0 TDI comes in with respectable mpg ratings of 31 in the city, 43 on the highway and 36 combined. Unlike others in this competition, the A3 is available only in a sedan model, so you cannot get the added benefit of a wagon’s large cargo area. 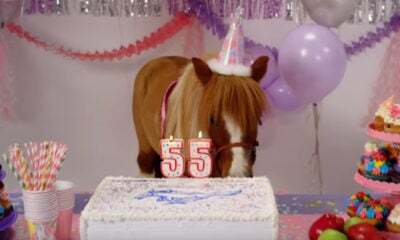 Under the hood is a 2.0-liter, turbo-diesel powerplant that produces 150 horses between 3,500 and 4,000 rpm, and 236 pound-feet of torque between 1,750 and 3,000 rpm. This engine links to a six-speed, S-tronic dual-clutch transmission that delivers power to the front wheels, making it one of the few Audis without quattro AWD. This is enough power to launch the A3 to 60 mph in just 8.1 seconds and onto a top speed of 130 mph. The 2015 A3 2.0 TDI starts at $32,600 for the Premium trim and tops out at $41,050 for the Prestige trim. 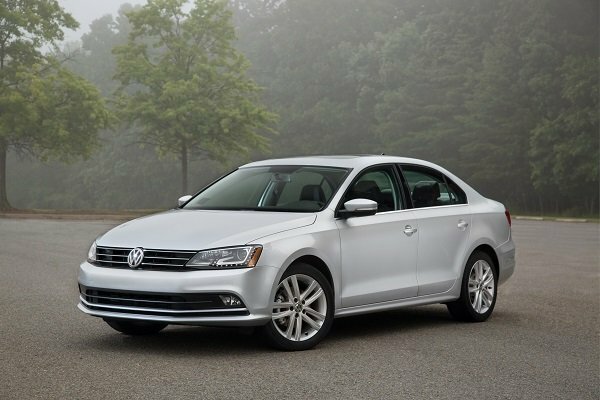 The 2015 Volkswagen Jetta 2.0 TDI makes the list alongside plenty of other vehicles from the VW Auto Group. The Jetta 2.0 TDI comes with a 2.0-liter, turbo-diesel engine that receives EPA ratings of 31 mpg city, 46 mpg highway and 36 mpg combined with the optional six-speed manual transmission — the standard six-speed DSG transmission gets 45 mpg on the highway. With those high numbers buyers also get German engineering at an easier-to-handle price than some other German diesels. What’s more, buyers can get a SportWagen model that gets 30 mpg city, 42 mpg highway and 34 mpg combined. 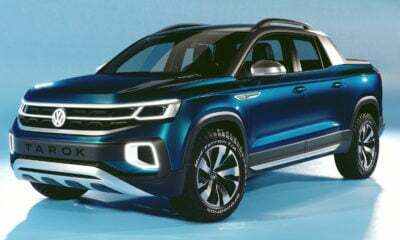 The 2.0-liter TDI engine produces a respectable 150 horsepower between 3,500 and 4,000 rpm and 236 pound-feet of torque at 1,750 to 3,000 revs. In terms of raw performance, the Jetta TDI can hit 60 mph in around eight seconds, making it slightly slower than some other Germans, but its $21,295 base price makes the sacrifice in acceleration well worth it. Buyers can also opt for the fully loaded model with the Premium Package and navigation for only $26,795. The SportWagen model starts from $26,565. 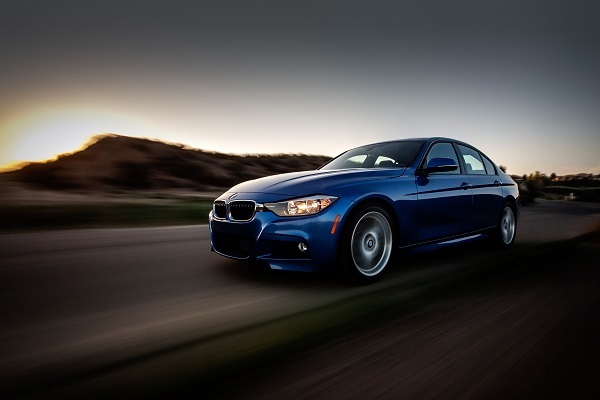 The BMW 328d is the king of the hill when considering diesel-powered cars with great mpg, as this luxury sedan checks in with EPA-estimated ratings of 32 mpg city, 45 mpg highway and 37 mpg combined. On top of that, there are also xDrive all-wheel-drive and wagons models available with this thrifty diesel engine. The 328d xDrive Sedan and 328d Sport Wagon received a 35 mpg combined ratings, giving you usefulness and great fuel economy in one package. The 328d is no slouch in performance either, as its 2.0-liter, turbo-diesel engine pumps out 180 horsepower at 4,000 rpm and 280 pound-feet of torque between 1,750 and 2,750 rpm. 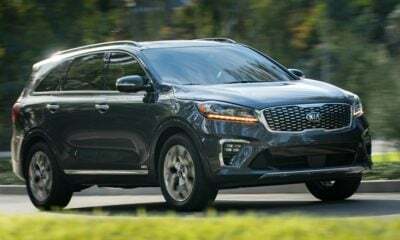 The clean-diesel engine mates to an eight-speed, STEPTRONIC transmission that allows the base sedan to hit 60 mph in just 7.4 seconds and top out at 130 mph. With the xDrive AWD system, this sprint time falls to 7.3 seconds. The 328d’s weakness is its base price, as it starts out at $38,900.